What requirements do you need to fulfil? 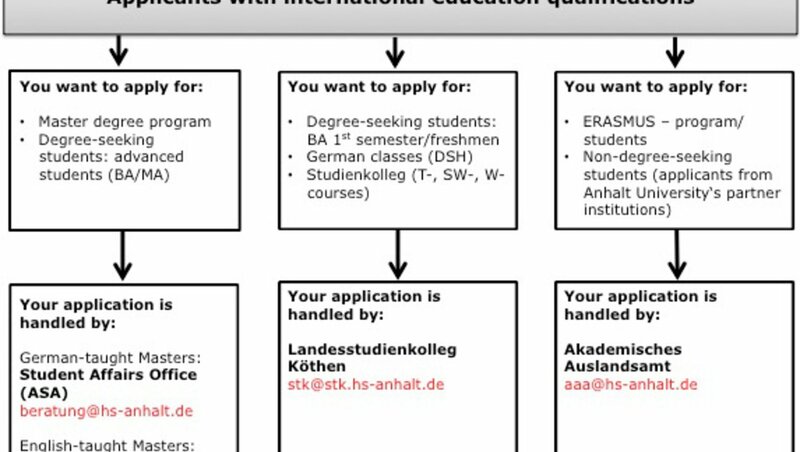 whose native language is not German, are asked to send their applications to Landesstudienkolleg. Find out, whether your school leaving qualification is sufficient for applying directly at Anhalt University. If your school leaving qualification is not sufficient you need to attend an assessment test (Feststellungsprüfung, FSP). You can prepare for this test at Landesstudienkolleg Köthen. After your application papers have been checked, you will be sent an invitation for an admission test (Aufnahmetest). The course preparing you for the assessment test (FSP) usually lasts 2 semesters. Once you have passed the assessment test (FSP) you may start one of the degree courses at Anhalt University. Certification/documentation of studies at international tertiary-level institutions: Please submit transcript of records for relevant times and institutions. At Anhalt University, all Bachelor-level degree programs and most of the Master-level degree programs are taught in German. 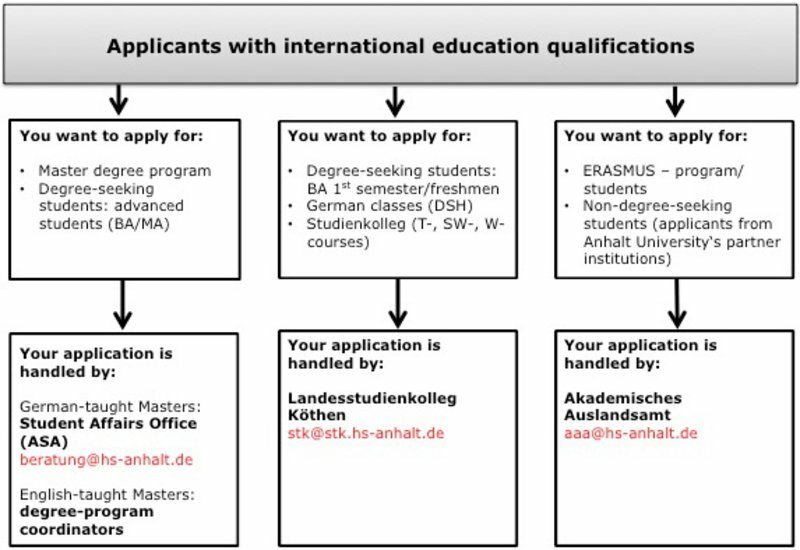 International applicants are only directly admitted to these programs if they have obtained either "Deutsche Sprachprüfung für den Hochschulzugang ausländischer Studienbewerber" (DSH) or "TestDaF". Courses preparing you for either exam are offered at Landesstudienkolleg Köthen. Landesstudienkolleg Köthen is also an accredited test centre for both exams. You need to prove German-language skills at B1-level (Common European Framework of Reference for Languages) so as to be admitted to one of the German courses at Landesstudienkolleg which prepare your for studying in Germany. Prospective students interested in applying for one of the English-taught Master programs at Anhalt University are asked to send their applications to the co-ordinator of the respective program.